We all know ketchup holds top billing for burgers and fries but did you know it has dozens of other uses? 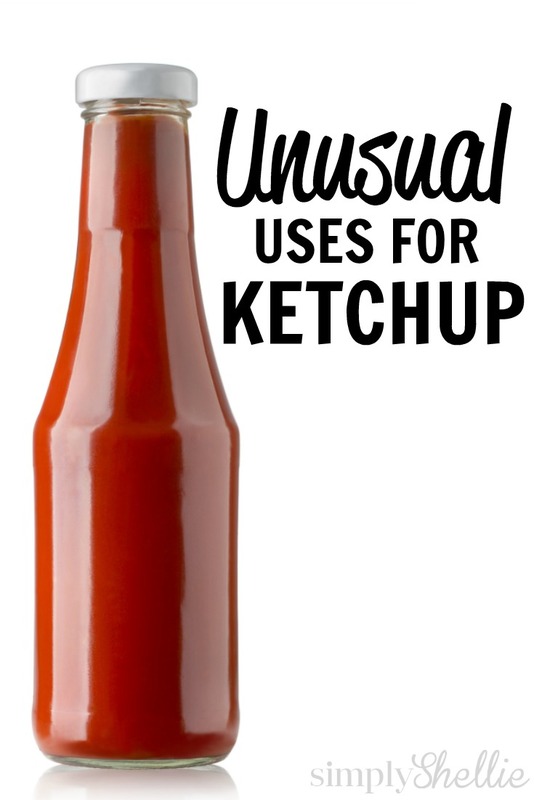 Grab all those half empty ketchup bottles from your fridge and put them to work with these unusual uses for ketchup! 1. Use as a Facial – Have you ever tried putting ketchup on your face? The lycopene and vitamins A, C, and K promotes collagen growth and helps reverse sun damage. 2. Soothe Insect Bites – If you’re being eating alive at your next backyard barbecue, grab the bottle of ketchup and dab some on the insect bites. Some say that the salt content in the ketchup draws out some of the inflammation. 3. Correct Your Color – The natural antidote on the color wheel for green, use the red sauce to counteract effects of chlorine on blonde hair. After shampooing, massage the ketchup through hair and leave on for five minutes. The natural oils also provide great moisture and conditioning. 4. Use as a Neutralizer – Did you know that ketchup is famed to be a great neutralizer for the smell of skunks? This tip is great for those of you who live in the country like me. I live in fear that my dogs will be sprayed and carry that smell into the house! Use ketchup in a bath to remove the odor. For clothing, soak dark items in ketchup before laundry. (Lighter clothes may stain.) Wash clothes immediately after and check for staining before drying. Wash a second time, as necessary. 5. Use as a Metal Polish – Use it as a natural alternative to chemical metal polishes. Likely due to the vinegar ingredient, you can make copper gleam and silver shine by polishing your metal ware with ketchup. 6. Use it On Your Car – Grab a bottle of ketchup next time you wash your car! Similar to the way it cleans metal above you can use it to shine up your rims and trims. Then wash with soap and water. 7. Remove Furniture Rust – Ketchup can also work magic on rusted furniture. Rub it on the frame and the natural acids will neutralize the rust. It becomes powder like and rinses off with water. 8. Fake Blood – This one is pretty obvious but ketchup makes a terrific and inexpensive fake blood alternative. Also, as it is food-based rather than chemical, it makes for safe, spooky fun with the kids. 9. Boo Boo Patch – Is the console between your car seats full of ketchup packets? Throw them in the freezer. The next time you need a boo-boo patch, use the chilled pack as a small icepack. These are the perfect size for little kids and easy to tuck under a band-aid so you don’t have to hold them in place. 10. A Condiment Base – Don’t forget, ketchup makes a great base for other condiments. Use it for steak sauces, remoulades, and salad dressings. Yes, salad dressings – Thousand Island, Russian dressing, and Catalina all have ketchup as a primary ingredient. What is your favorite unusual use for ketchup? I’d love to hear more fabulous ideas! 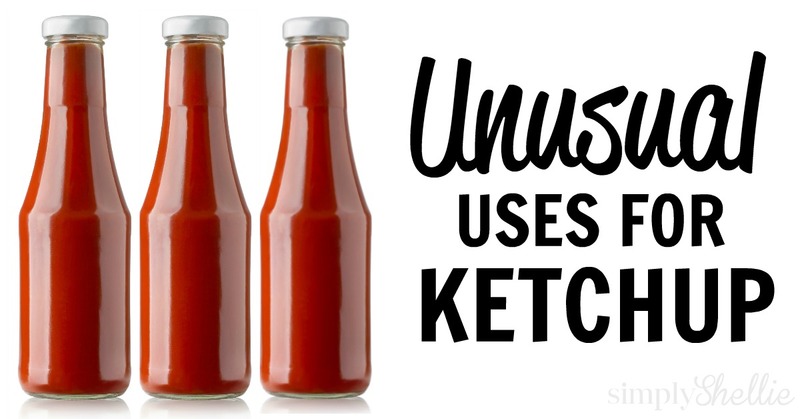 Love these Unusual Uses for Ketchup? Be sure to check out some of the other Unusual Uses posts I’ve shared!